Foam is operating with a cashless policy. To visit Foam, visiting our store or Foam Café, we ask you to pay by card or pre-order your (event)ticket online. Occasionally Foam organises events and lectures, so certain exhibitions might not be accessible. Before you visit, please check the website for altered opening hours. Foam is best reached by public transport or on foot. Plan your route using Public Transport Travel Information or Google Maps. If you travel by car, the best place to park is Apcoa Parking (Prins & Keizer). 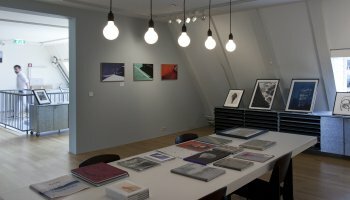 Foam Café is situated on the ground floor of Foam's Keizersgracht building. It's a lovely place to enjoy a healthy breakfast, tasty lunch or homemade cake. You can take a seat and relax after your visit at Foam or reserve a table. Our monumental building is not fully wheelchair-accessible. Be sure to contact us before your visit so we can discuss the possibilities together. Admission for accompanying caregivers is free with valid proof of entitlement (OV-Begeleiderskaart). 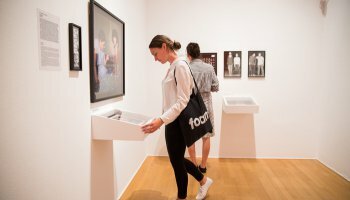 Foam offers dynamic group activities for all ages, from tours focused on content to challenging workshops. 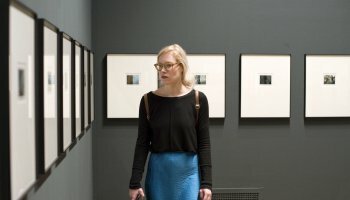 All our programmes revolve around the museum's exhibitions, with a focus on looking closely at the photography. Due to the often-changing exhibitions, there is something new to see almost every month.